You love your dog and wouldn’t live without him. However, pooches can provide challenges to your home décor. At our flooring and remodeling store, we prefer to think of these challenges as opportunities for pet-proof interior design in Bedford, NH. Good design includes both beauty and practicality. Let us help you create a home that is appealing and comfortable for you and Fido. We serve as a full-service design and remodeling center. 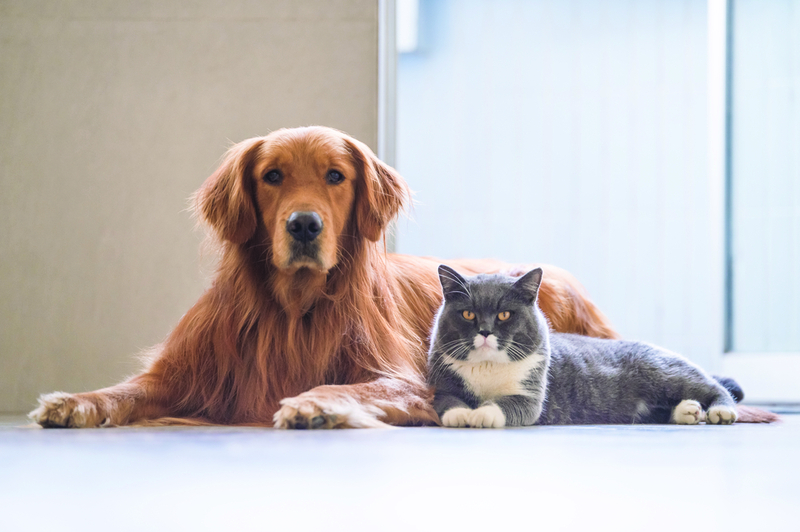 Count on us for flooring that allows you to live in harmony with your animals, as well as dog showers that keep your pet clean enough to live indoors. Vinyl—Our luxury vinyl tile and plank are the ideal flooring for pets. Vinyl withstands scratching from paws and claws, as well as resists moisture from puppy and kitty accidents. This flooring type is made to deal with the wear-and-tear of daily living and still look lovely. Carpeting—We carry pet-proof carpet that resists spills and stains. Manufacturers keep your pet in mind when creating and producing carpet flooring that is soft, lovely, and resilient. Ask us to show you samples of Innovia Xtreme Clean, which is made with pet-friendly technology; or Tigressa H2O, which his waterproof, kid-proof, and pet-proof. Sealed Flooring—When you have your heart set on hardwood, ceramic tile, or laminate, sealing is what is essential in protecting your flooring from scratches and liquids. Sealing provides a barrier that safeguards your floors. As a member of your family, your dog is expected to maintain a certain standard of cleanliness. We realize that your furry friend might need a little help with hygiene, which is why our skilled remodelers are ready to build a dog shower in your home. Rather than trying to get your pet into the bathtub or hose them down outside, we construct a special shower that meets your needs and those of your dog. Our flooring and remodeling store offers the experts and expertise to design and build a pet shower makes it easy for you to keep your canine companion clean. Bring your dog into our pet-friendly store to shop for the perfect shower. Contact us now for a free in-home estimate on dog showers and pet-friendly flooring. Goedecke Paint & Decorating proudly serves the communities of Bedford, Manchester, Hooksett, Concord, and Hollis, New Hampshire, as well as the surrounding areas.